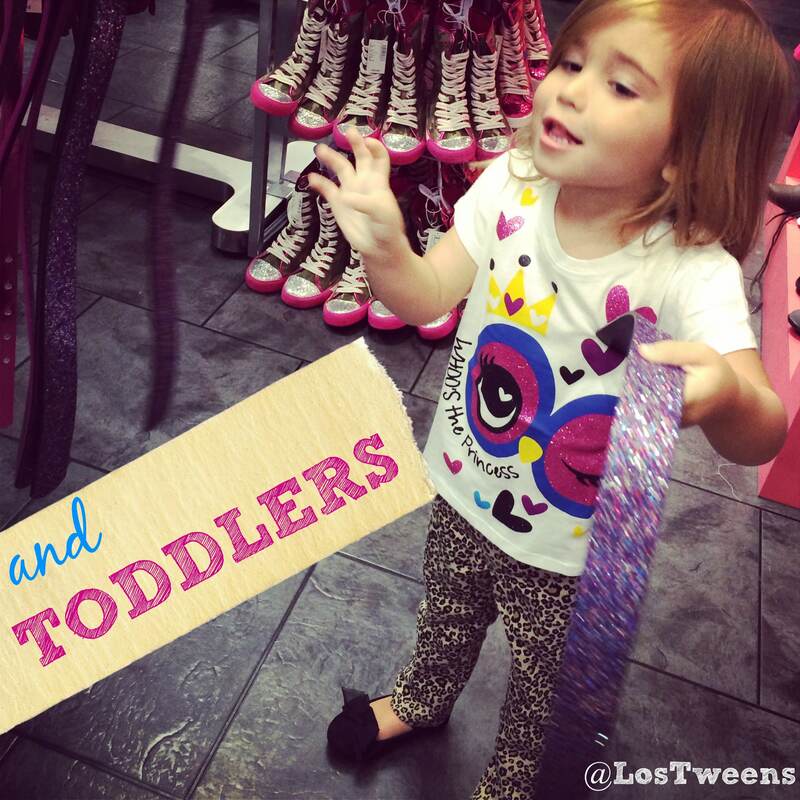 Disclaimer: Los Tweens was provided a gift card to shop at The Children’s Place. All opinions expressed in the post & video are our own. Can you believe I actually had the tweens tell me that I was pushing the fashion boundary? It happened. And, they had to eat their words afterwards. We were in The Children’s Place styling for the video. I was pulling fun looks for them to try on. I grabbed a denim sweatshirt jacket, a fun graphic tee and cheetah print skinny jeans. The tweens took one look at the outfit and balked. “Mom, I think you’ve pushed the fashion boundary,” my daughter said as her best friend shook her head. What they failed to realize is that I am cooler than them. Or at least, I like to think so and they both had to agree after they tried it on. The outfit ROCKED! This is what I love about fashion trends for fall. Looks from the 90’s are making a comeback. It’s “cool” to have fun with your wardrobe. And, being comfortable is in itself a trend. 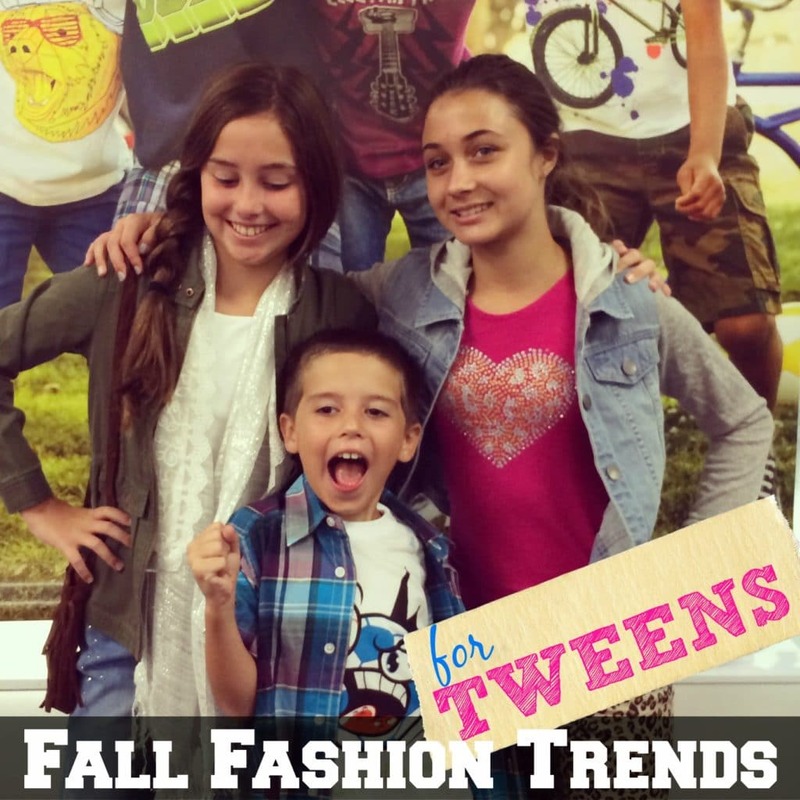 Check out our fall fashion trends for tweens AND find out how you can get the look by entering the giveaway below. Did I say it enough? Denim is going to be big for fall. Parents, you can dig those denim jackets out of the closet and invest in a jacket for tweens. Whether you go with a dark wash, a denim sweatshirt jacket or a denim sleeveless, you might as well invest in a cute set of denim now. Bright floral prints are continuing to have their impact into the fall. In the video, Sophia models an adorable floral print dress from The Children’s Place that has just the right pops of color. And, of course, she pairs it with the denim jacket. Fall means slightly cooler weather. Pairing a graphic tee with a plaid long or short-sleeved button down is a great look for boys. Plus, it makes it easy for them to layer down or up depending on the weather and their activity level. You saw them on bating suits during the summer, now fringe is popular in faux suede and fall colors. For the older tween girls who are dabbling in purses, The Children’s Place has an adorable faux suede option! Not any animal print will do. For fall, it must be cheetah print! Of course, you can delve into the world of colored cheetah print but I prefer sticking to the traditional brown which goes well for fall. The Children’s Place has the cutest cheetah print skinny jeans. You can match the jeans with a glitter graphic tee for an easy and laid back look. Love the looks? Visit your local Children’s Place or visit their website. How to Enter: Leave a comment below sharing what you are most looking forward to for fall AND enter your information in the Rafflecopter widget. Be sure to check for additional entry options as well! Rules: Limit to U.S. Residents, 18 years of age and older. This entry was posted in Fashion & Beauty, Raising Tweens, Younger Siblings and tagged fashion, Parenting, Style, The Children's Place, tween fashion. Bookmark the permalink. Love the children’s place and your models are precious rocking those outfits. Of course, I can’t wait till fall even though its hot in florida as well. But I am looking forward to shopping for the cheetah print skinny jeans for my girls. Fall is fun, it means Halloween is almost here, thanksgiving and all the great food !! Hopefully this year the weather is on our side and it gets cooler !! I’m looking forward to cooler weather. What I’m most looking forward to for Fall is the change of colors and the lower temps. Thanks for the giveaway! I am looking forward to going to the orchard and getting fresh apples. I’m looking forward to football season! I look forward to being able to walk the beach, without tons of people. I am looking for to Halloween, the crisp smell that is in the air. Playing in piles of leaves, and having fires to roast marshmellows. I’m looking forward to the holiday season. I love the cold weather and shorter days. Thank you! I am looking forward to the cool fall weather. I am so looking forward to the cooler weather! I looking forward to college football! I am looking forward to visiting the apple orchid with my family and making leaf piles in the yard with the kids. I’m looking forward to the fall craft shows – thank you. I am looking forward to cooler weather and the pretty leaves on the trees. I love the cooler crisper weather. I can’t wait for cooler weather! Going to watch my Grandson play tackle football. I am looking forward to the cooler weather, football and Halloween! One of my favorite things to do in the fall is to take my family to our local orchard. We pick out pumpkins and drink fresh apple cider. We look forward to it every year. I’m looking forward to the pretty fall leaf colors. I’m looking forward to the weather. its too hot in GA. I am most looking forward to the NFL season! Looking forward to football and cooler weather! looking forward the wearing my fall clothes! I’m looking forward to getting out my boots and scarves, also cocoa and soup with warm bread. I am looking forward to cooler weather where little one and I can spend more time outside. The weather, fall scents, football, and pumpkin pie! I am looking forward to the crisp cool weather and watching the leaves changing colors, it is my favorite season. I look forward to backpacking and camping in the fall because the weather is usually so nice then. I am looking forward to Halloween! I love the cooler air that fall brings and the bright colors of the leaves and being able to ride along the Parkway to view them. I love the cooler temperatures. I’m looking forward to being able to wear my scarves, boots, and sweaters. 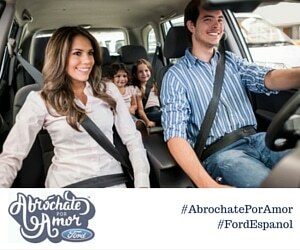 I also love my kids being in school and back in activities. Fall is wonderful. I’m looking forward to cooler weather, fall carnivals, and pumpkin everything. I can’t wait to have my son pick out his first pumpkin at the pumpkin patch! I’m looking forward to the cool weather. I am looking forward to cooler weather, no mosquitoes, and the leaves changing. Pumpkins! Pumpkin candles, pumpkin pie, pumpkin spice lattes!! [Video] What’s Inside the “Star Wars Droid Inventor Kit” for Ages 8 and Up?